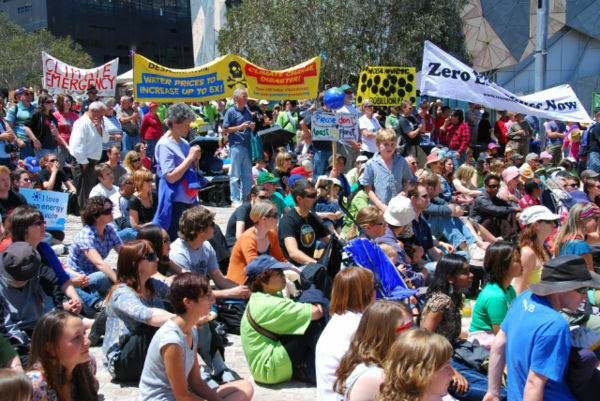 The 2008 Walk Against Warming was held in several Australian cities on November 15, 2008. 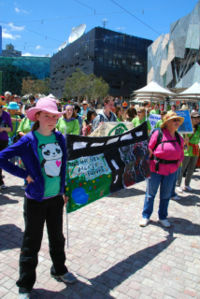 15,000 people attended the rally in Melbourne, Australia. 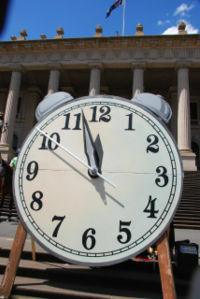 Speakers urged the Australian government to take urgent action to tackle the climate emergency we are now faced with. 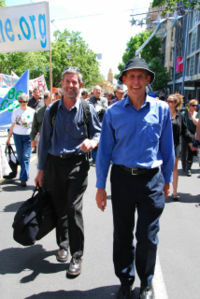 In Sydney, tens of thousands attended the rally at Martin Place in Sydney's central business district. This page was last modified 01:26, 29 May 2009. This page has been accessed 28,876 times.